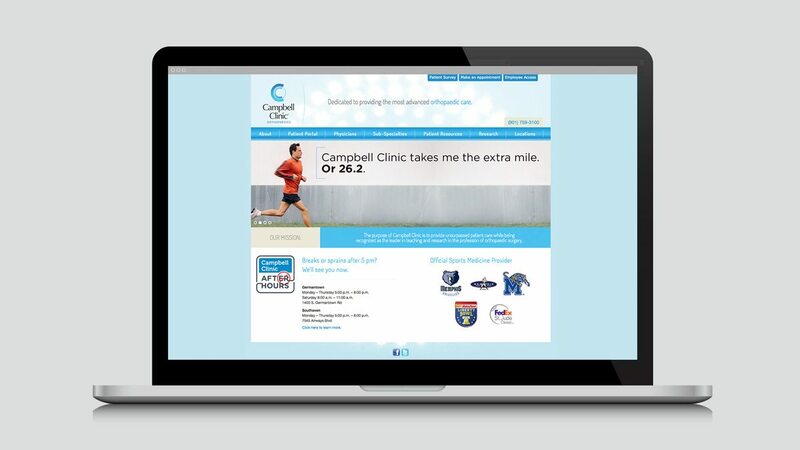 Established in 1909, Campbell Clinic is recognized as a world leader in sports medicine, pediatric orthopaedics, joint replacement, orthopaedic oncology, physical medicine and rehabilitation, and surgery of the hand, hip, foot, knee, shoulder and spine. 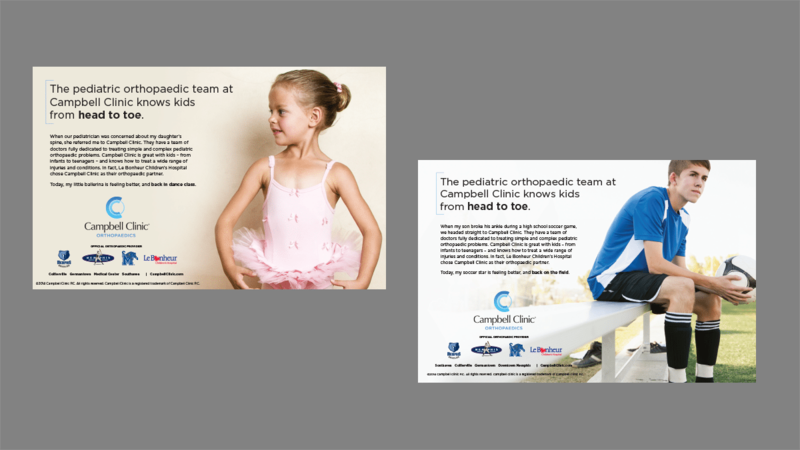 inferno worked with Campbell Clinic to reposition the brand as the choice for orthopaedic care – not only for world-class athletes, but also as the choice for individuals and families by developing content that talks directly to family healthcare decision makers. 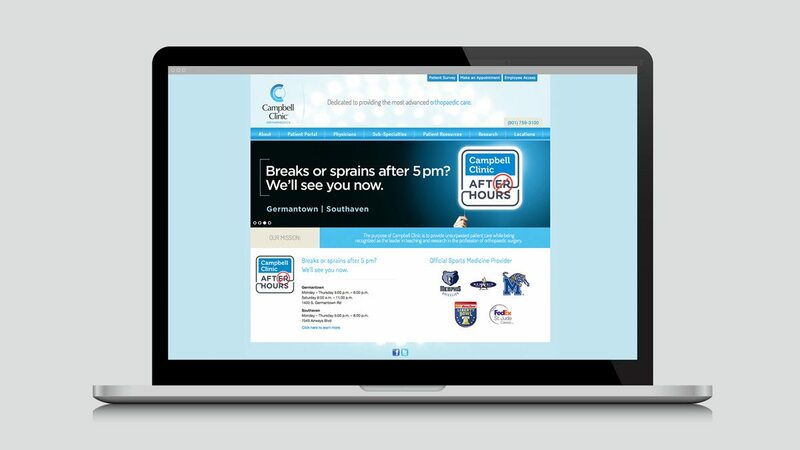 The new Campbell Clinic brand expression is built around an integrated campaign of print, TV, radio, and web. 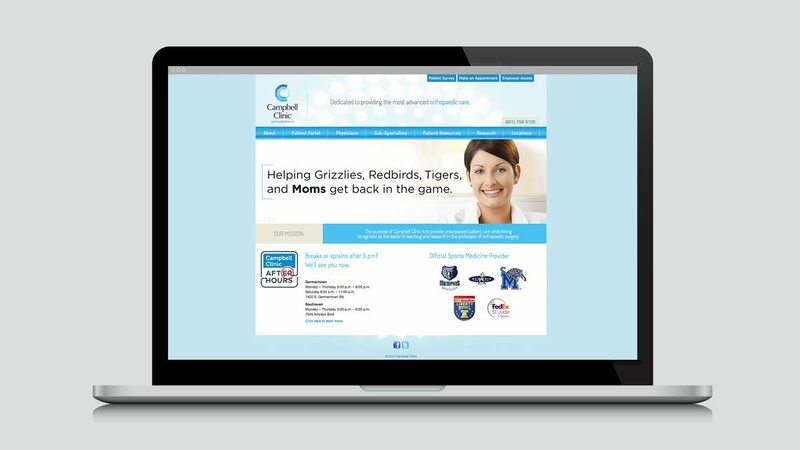 Campbell Clinic is the official sports medicine provider for the Memphis Grizzlies. 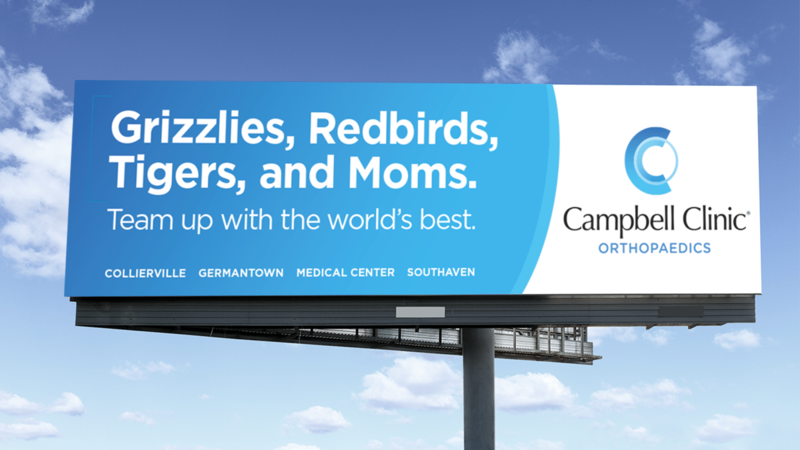 But as you can see in this inferno-produced spot, the Grizz aren’t the only ones Campbell Clinic keeps in the game. The world’s best orthopaedic specialists want their patients to stay active. And you can feel that activity in this TV spot, which illustrates how the doctors at Campbell Clinic are dedicated to keeping each patient on the go. 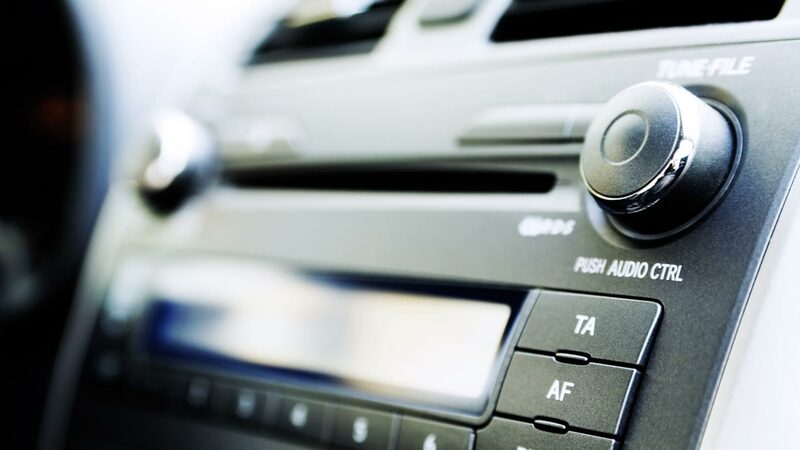 Breaks and sprains aren’t confined to normal business hours. 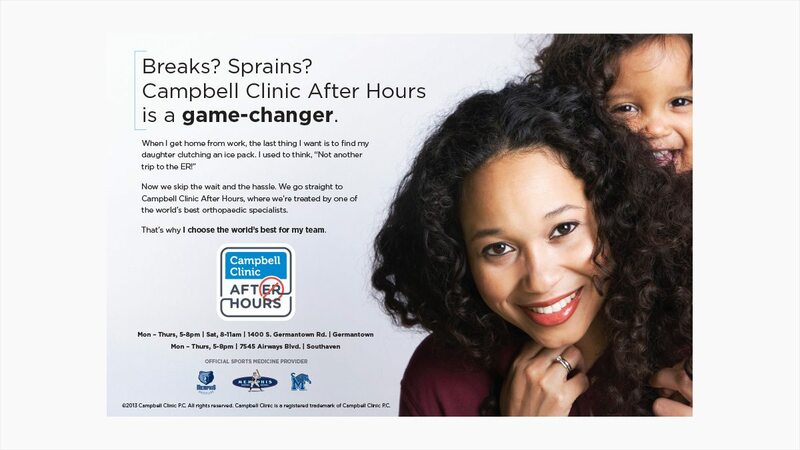 We created an integrated campaign for Campbell Clinic After Hours service to highlight the extended availability of the world’s best orthopaedic specialists. 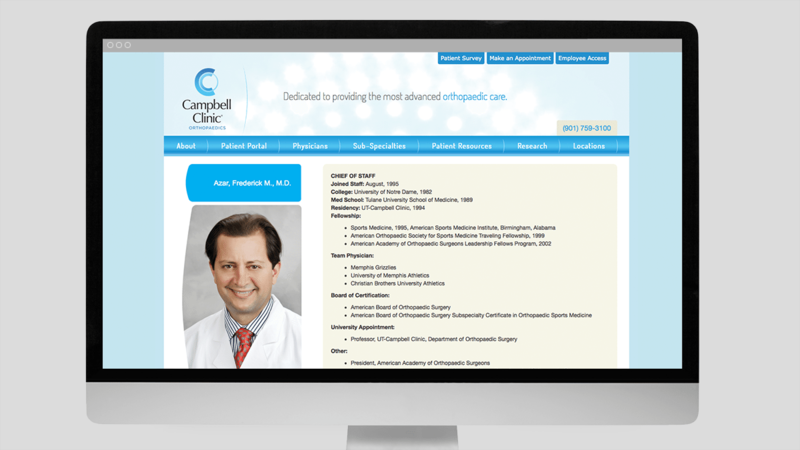 The doctors at Campbell Clinic know that making it through everyday life is a team effort. 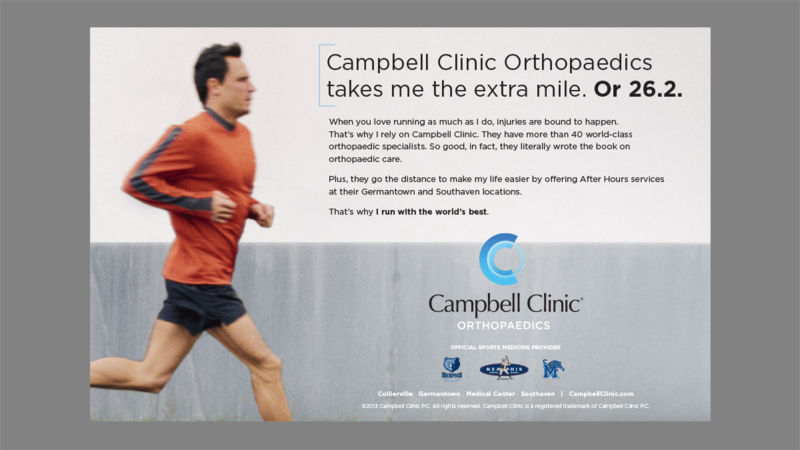 And the campaign we developed reflects their willingness to provide to weekend warriors and families the same orthopaedic care star athletes receive. 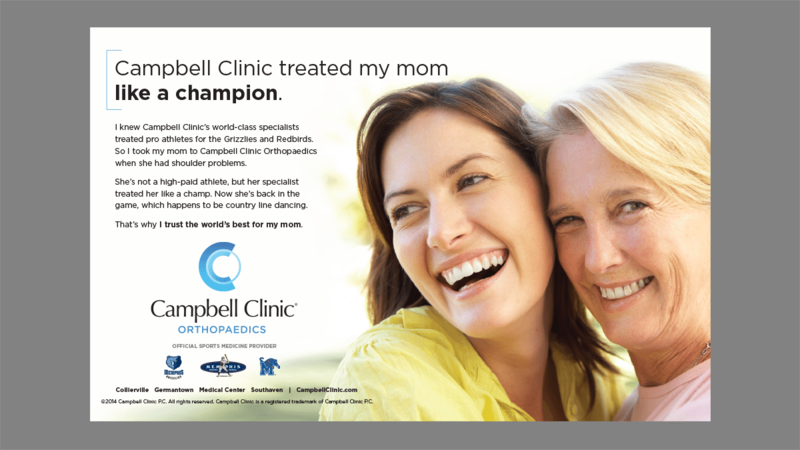 One of the things that makes Campbell Clinic a leader in orthopaedics is their responsiveness to patient needs. So it makes sense that their website would need to be responsive as well. 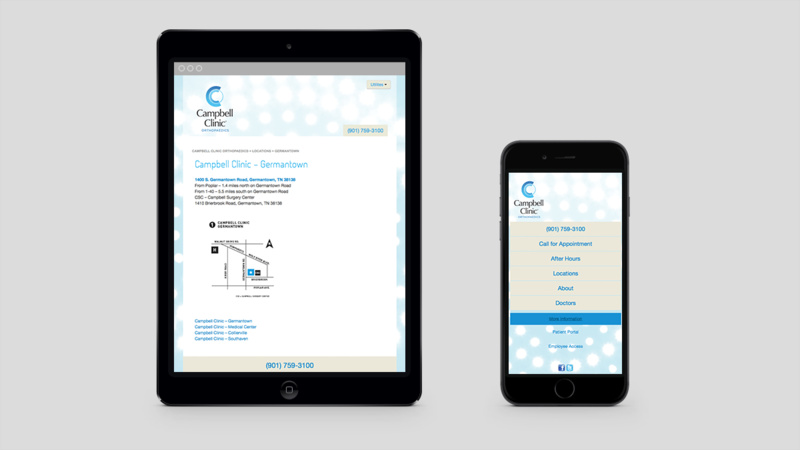 By creating a clean, attractive design that works across all devices, we helped Campbell Clinic strengthen their web presence. You don’t have to go pro to be part of a team. 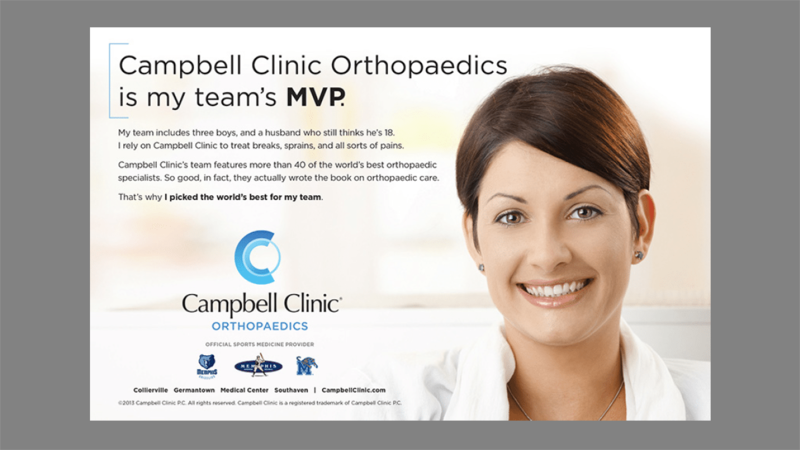 And these Campbell Clinic spots show that no matter who’s on your team, the world’s best orthopaedic specialists are ready to handle breaks and sprains. Even after normal business hours. I trust the world’s best for my team. 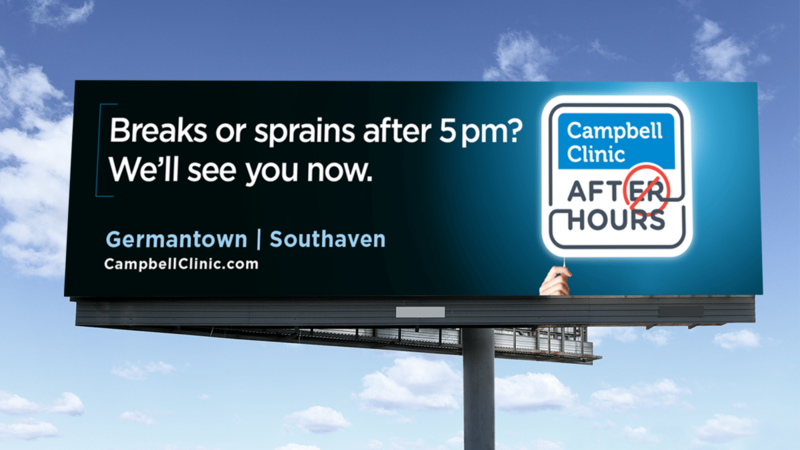 Breaks or sprain after 5 pm? We’ll see you now.